The decals were designed by California-born Harry Bradley, who created 11 of the 16 molds for the first line of Hot Wheels. File under: best place ever to keep your dice bag and minis. Wow! Epic kit, and they even upped the scale to 1:20 for XL awesomeness! Is this based on a real, existing van? I see a brick fireplace in the thing – I’ve seen a lot of 1970s custom vans, and that’s a new one on me. I’d love to see how/if it worked out in real life. I think it was probably influenced by the Warlock. 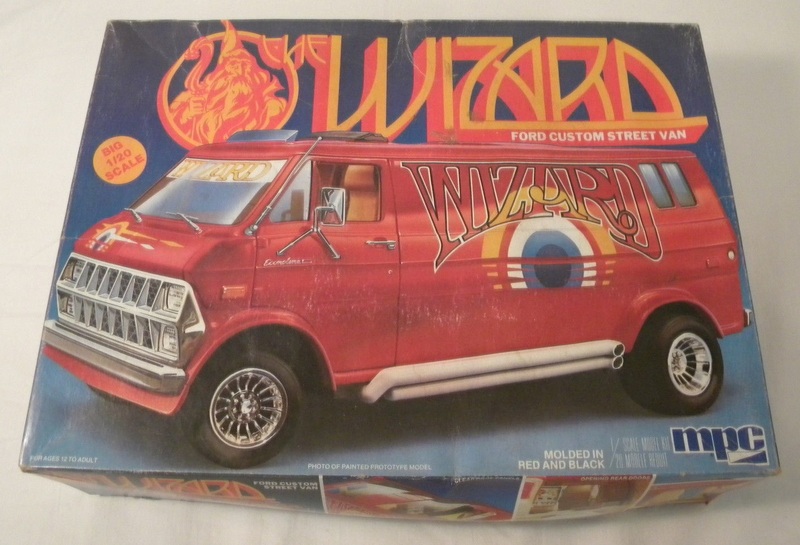 I don’t think it was a real van model. Bradley designed real cars as well as models, so I’m guessing it’s a kit original.